In an examination of the current situation of the ‘Christian church’ (or might we more aptly refer to it as Christendom? ), we see a pervasive mutation occurring. What started in modernism in the mid 19th century, until the mid 20th century (modernism having to do with so-called higher criticism and skepticism regarding absolute inspiration of the Holy Scriptures; the doubting of anything supernatural, such as creation and miracles; the adoption of an allegorical hermeneutics, rather than a literal view of the Bible, etc.) which brought us the liberalization of most of the denominations and a post-modernistic view, led us to what’s been called “The New Age Movement (N.A.M.) that heavily influenced these aforementioned churches. Lately, we see the ecclesiastical trend morphing what was Christian, into a pseudo-Christian amalgam of various elements, all under the inspiration of the Emergent Church Movement (E.C.M.). The E.M.C. 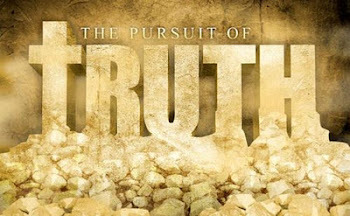 has promoted even further the idea started in Modernism/Humanism, and then the N.A.M., namely that “truth is relative”. When absolute truth is denied, this opens the door that any claim to a truth is just as valid as any other, even if they oppose each other! This is essential in order for what’s known as the Hegelian Dialectic to take place. We will look at what this term means in a bit. Consensus and corruption, amalgamation and abomination, syncretism and sinful seduction result from such methods and ideas as Hegelian thought and relative truth. Biblically speaking, a harlot is representative of any false religious system. Quite often in the Old Testament, God declares that Israel has played the harlot in cavorting with the pagan religious practices which He strictly forbade (See HOSEA 3:3;4:15). The Mother of Harlots would then be the very source that inspired all of her ‘children’ in their various beliefs, dogmas, rituals, etc. This is none other than Babylon, as John himself describes. Just as the rebellion of mankind was codified into a religious system at the beginning of our human history, so it resumes at the end, representing a religion that, at its heart, is genuinely anti-Christ and unbiblical in its tenets and beliefs. What Did Georg Hegel Do For Us? There is something called the Hegelian Dialectic which we will have to examine before we proceed as this is quite relevant in the intention of this article. 1928 -- The Open Conspiracy: Blue Prints for a World Revolution by H.G. Wells is published. A former Fabian Socialist, Wells writes:"The political world of the into a Open Conspiracy must weaken, efface, incorporate and supersede existing governments... The Open Conspiracy is the natural inheritor of socialist and communist enthusiasms; it may be in control of Moscow before it is in control of New York... The character of the Open Conspiracy will now be plainly displayed... It will be a world religion." What are the players of this Hegelian tactic to unify the various religions of the world? Two primary religions are in play for this dialectic: Christianity and Hinduism, and they are indeed opposites in many, many ways! Christianity (we refer to biblical doctrine as being actual Christian belief) believes in a personal, transcendent Creator, whereas Hinduism believes in an impersonal, pantheistic, even monistic Creator/force. Christianity teaches salvation by grace alone in Christ alone, and that by faith in the Word of God (thus sola scriptora and sola fide). Hinduism teaches that salvation is by the efforts of the devotee via reincarnation and the implimentation of karma to ‘raise’ oneself to a higher plane of existence, ideally becoming one with the All, that is ‘Brahma’. Even in the basic tenets of these two spiritual belief systems we can see a stark contrast, thus they are ideal for the thesis/anti-thesis conflict of the Hegelian dialectic (its for this same reason that Islam was not used for this plan, as there are some significant similarities between this religion and Christianity, that would not suit the purposes of the Power Elite). Witness an exercise class in a gymnasium located at your local church, where the instructor is leading a group of fellow Christians into an exercise regime of yoga. Witness a Bible study where a lay teacher is using certain phraseology during the teaching that jibes well with Hindu concepts. Witness a prayer meeting, where a facilitator is encouraging fellow participants to engage in visualization, and ‘centering’ prayer, and Spiritual Formation dogma. A mere half a century ago, such practices would have been impossible in the church, and any suggestion that such things were practical and useful supplements to Christian doctrine would have been laughed at. Unfortunately, no one is laughing today. How did this all take place? When did Hinduism come to have such a subtle, but powerful influence here in the West, not only in society in general, but even in the church? Where did Hinduism itself come from and what are its basic beliefs? Are you being influenced unknowingly by any such beliefs? You might say that I’m being too critical, even negative by these observations and remarks; perhaps you would even suggest that I adopt a more Positive Mental Attitude. If you would, then your advice would be Hindu in origin, for that term is at its heart, a Hindu concept! Let’s go into some of the history of Hinduism and understand the roots of its beliefs, and determine where its origins lie; then we’ll see if we find any correlation to what we see here in the West. Hinduism is the oldest of all religious systems and one of the most complex. It has spawned a variety of secrets holding diverse beliefs, thus making Hinduism difficult to portray accurately without examining its various facets. Hindu ‘triads’ (triplet groupings of gods) multiplied until there were millions of gods, all of them served by countless castes (originally four in number). Differents sects worship different deities as follows: (note to reader: the Hindu concept of triads is not equitable to the Christian doctrine of the Trinity). Hindu gods formed in groups of three’s are merely triplets of gods, forming alliances between themselves*. They are not identical to each other in nature, nor possess the same character, attributes and powers. Whereas in the Christian doctrine of the Trinity, the Father, Son and Holy Spirit are indeed, Three in One, and are entirely identical in nature, character, attributes and power, yet still present as three distinct Persons. For a very competent treatment of the doctrine of the Trinity, please read the written article: The Trinity: One God or Three? - Chuck Missler. Also a very thorough treatment of the Trinity may be found here. Compare the tri-une nature of God as portrayed in the scriptures to those deities worshipped in Hinduism. *We see this same ‘groupings of gods’ in other religious systems, such as in ancient Egyptian and Babylonian and Sumerian culture, thus apparently all coming from a root source. 1) Vishnu – god of time and space, the Preserver. 3) Durga – the Divine Mother (goddess of motherhood) *note to reader: this goddess could parallel the Roman Catholic personage of the Holy Mother, Mary, mother of God, and co-redemptress and become a focal point by which Hindu’s and R. Catholics can find significant accord (there are other parallel beliefs and practices as well). 4) Brahman – the Eternal Trimurti or “Three in One” Creator; the ultimate reality, supreme essence of the universe. *note to reader: another bridge that would prove useful in unifying these two different belief systems, as both ascribe this characteristic to Deity, the difference being that in Hinduism, Brahman is overseer of all the other gods, and merely one of the four primary deities, and among many countless millions of lesser deities.All castes and their sects believe in these four primary deities. Submission to fate – man is part of Brahman, thus not outside but submitted to Brahman’s influences. This as opposed to what the Bible states, that we have our own volition or free will, and may decide to come to Jesus, or not, and receive the consequences of that decision. There are many verses that point to the free-will of mankind, even the free will of those who are saved by grace, and may choose (or not) to take up their cross daily, etc. Here are a few: MATT 7:24;10:32; MATT 21:44; REV 22:17. From Manu’s feet came- The remainder of the people. From these four primary castes, thousands of sub-castes developed over time. It’s an integral part of the social order in India today, and despite the fact that it’s been outlawed by its own government, its presence and influences still dictate society and its culture. *note to reader- the concept of ‘different kinds of people’ refers to their various levels of development; some are lower on the scale, others are higher. Here we see, in spiritual form, the basis for evolution. This concept is far older than the ideas proposed by Charles Darwin, but the parallels are obvious. Reincarnation – defined as a chain of rebirth, in which each soul, through virtuous living, can rise to a higher state. There is an interview with Dave Hunt about reincarnation and how it differs from resurrection. Can Reincarnation Be Christianized? However we in no way lose our identity, or have our personality demolished or merged into a greater whole. *Yoga – the disciplines which enable the individual to control the body, emotions, and ‘Dharma’ – that is, the Law of Moral Order, which must be found and followed to achieve nirvana. It’s the Hindu path of “union with the divine”. Any sort of exercise (physical, mental, or spiritual) which promotes union with Brahma (interesting to note that guru’s will state that hatha-yoga, the physical exercises we equate with mere ‘healthy exercise’ is an essential part of the mystical aspects of yoga). 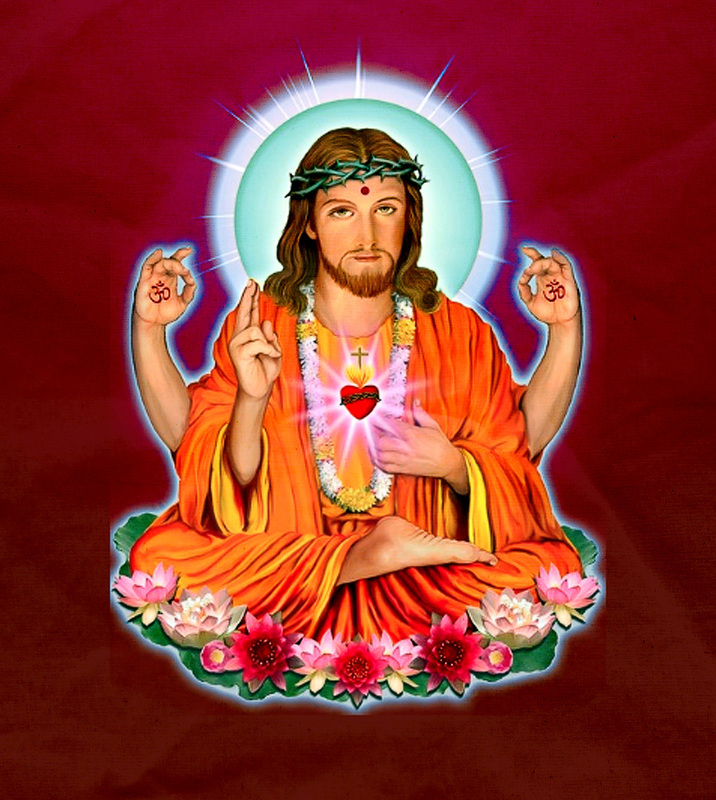 Here the issue of yoga is also addressed by Dave Hunt - Can Yoga Be Christianized? Pay close attention to what Yoga is here defined as: it includes not only the body, but the emotions and the ‘dharma’ which involves the Law of Moral Order, a profoundly spiritual concept. Scripture plays a vital importance among Hindus just as much as they do among Christians; yet one is hard pressed to find any parallelisms between the two texts. These have been written over a period of two thousand years (1400 B.C. – 500 A.D.). They comprise the full spectrum of Hindu beliefs through all phases of its development. There are two classes of scripture: Sruti and Smriti. Sruti, meaning “that which is heard” refers to the eternal truths of religion which the ‘rishis’ (or seers) saw or heard. They are independent of any god or man to whom they are communicated. 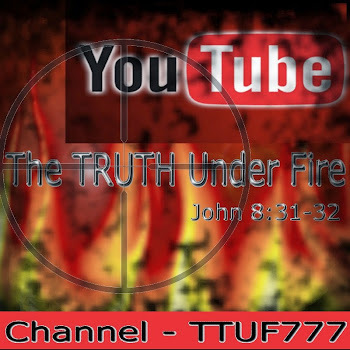 They are the primary, final authority of religious truth. The Sruti are mirrors by which eternal truth is reflected and then recorded by their disciples as “the Vedas”. It’s essential that the Sruti, as a calm, unmoving pond can act as a mirror, achieve a calm and unmoving state of blissful mind, so that they might rightly reflect the eternal truth. Smriti meaning “that which is remembered”, possesses a secondary authority derived from the Sruti whose principles they seek to expand. They collectively represent all sacred texts, excluding the Vedas. The Vedas – literally “wisdom or knowledge” – the oldest of Hindu texts. Originally transmitted orally, later preserved in written form. It contains hymns, prayers, ritual texts composed over a one thousand year time frame. Sama-Veda – borrows mantras from the Rig-Veda; these hymns are chanted. Yajur-Veda – a collection of mantras borrowed from the Rig-Veda and applied to specific ritual situations carried out by the executive priests and his assistants. Athara-Veda – magic spells, and incantations performed by the priests. Each of these books consists of three parts: mantras, brahmanas, and Upanishads. Brahamanas – a guide for practicing ritual rites. Upanishads – the most important of these: teachings on religious truth and doctrines. These were composed around 800-600 B.C., of those, 108 remain intact and relate to secret mystical teachings relating to man, the universe, the external Brahman- the basis of all reality, and the atman (self, soul). Influenced by Gautama Buddha, the founder of Buddhism, thus similarities can be noted between the Upanishads and the teachings of Mahayana Buddhism. Atman – (self, soul) that part of each living thing that is eternal. Taittiriya Upanishad defines it as “that from which speech along with mind, turns away- unable to comprehend it. Maya – a difficult concept: a potentially illusory event, experience and or perception that in some sense is ‘real’ and may contain important wisdom and or knowledge to be acquired. Consider the experience of a dream: are dreams real? Yes and no; they are real in the sense that we have them, and experience them in the unconscious mind during sleep, but they have no objective reality that exists in their own right. This is akin to the concept of ‘maya’. Bhagavad Gita – the work of writings that has devoted special attention to salvation via bhakti-marga, that is, devotion, to deity, family, masters, etc. The book exemplifies salvation characterized by commitment and action (karma). It’s also known as “The Song of the Lord” (Krishna). Brahma – the creator god, first of the Hindu triads, consisting of Brahma, Shiva and Vishna. Krishna – The 8th (and 9th) incarnation of Vishnu, one of the most widely worshipped deities. Krishanaites believe Krishna is the supreme deity. Yoga and Transcendental Meditation (T.M.) have figured predominantly in shaping and re-shaping the spiritual views of people in the West, and certainly no less here in America. This author himself spent some years, prior to conversion, dabbling in various occult practices, and even in T.M. (without the use of an instructor as I had happened upon a training manual that should not have fallen into my possession). Other ideas and concepts that are frequently acknowledged here in the West are Hindu in origin. Even the likes of Willy Nelson have sung, “Just A Lil Old Fashioned Karma Comin’ Round” which we all recognize. Rajneesh is one of the most powerful cult leaders and preeminent Eastern guru of the 1980’s. After the death of his grandfather who raised him, he recovered from the despair and trauma, and he felt himself strangely attracted to death, following funerals the way other children would follow circuses. In 1978 Rajneesh became popular among Hollywood celebrities and prominent apostles of the Human Potential Movement (H.P.M.). Tantric yoga and psycho-spiritual therapies and techniques made him famous. In the late 70’s and early 80’s his acclaim spread within the New Age movement in America, Great Britain and Germany; in fact nearly every free-world industrialized nation. By 1984 he acquired over 300,000 followers, average age of 34. The fruit of his spiritual services to mankind resulted in decadent luxury for himself, the incorporation of his Rajneesh Foundation International, a multi-million dollar business; he owns his own fleet of Rolls Royces. He endorses bizarre sexual practices and spiritual experiences and sees the family unit as “anathema” and children as “trash”; hedonism is esteemed above all. His followers in hundreds of Ashrams (cheap housing units established as communes) dwell in an environment replete with homicides, rapes, mysterious disappearances of members, threats, abandoned Ashram children left to wander and begging in the streets. In 1981 following scandals, tax evasion, insurance fraud and a staged “assassination attempt” by his own followers, Rajneesh left Poona, India with seventeen of his closest disciples and being issued a visa by the U.S. Consolate in Bombay (It would seem our government had a vested interest in getting him over here), secretly flew to N.Y.C. Efforts in America to create a “sacred city fit for the Master Himself” were soon underway; July 10th 1981 – Montclair, N.J. – The Big Muddy Ranch purchased 6 million dollars (1.5 of that in cash) from funds of the Chidvilas Rajneesh Meditation Center of land amounting to 100 sq. miles in Madras, Oregon, and leased 14,889 acres from the U.S. Bureau of Land Management. Rajneeshpuram was the name of the enlightened city and officially declared as a city and still stands today. For its 2,000 member commune, 12 hr. work days, seven days a week with only basic needs met, Rajneesh lived in decadence and luxury. Of the spiritual development of mankind, Rajneesh states: “A revolution in human consciousness is no more a luxury, it has become an absolute need as there are only two alternatives: suicide or a quantum leap in consciousness which Nietzsche called ‘Superman’ . . .
“Let me be your death and resurrection.” From Discourses on the Sufi Way, quoted in the Victor Valley Daily Press 9-18-81. “In July, right as I was getting more deeply involved with the ashram, I had a very extraordinary experience. On one of those hot, humid Indian nights filled with mosquitoes. I was sitting in my hotel room and reading Rabi Maharaj’s book, Death of a Guru. Suddenly I saw a brilliantly shining being standing in the Hotel room, and He said to me with a mighty voice, 'I want you to be My disciple.' I immediately understood that Jesus had called me, yet I didn’t know what to do with it. It’s quite essential that as Christians we make the distinction between what the Word of God states, and what Hinduism teaches. There can’t be any compromise or middle ground between these two extremes (Hegel’s desire would be just that: that both belief systems would compromise and “meet in the middle” as it were, forming a bizarre ‘Christian-Hindu concept;’ Chrindu? Hinstian?). 2 COR 6:14-16 defines the necessary restrictions for all believers to remain pure in doctrine, and allow no compromises, or vain philosophies for that matter (COL 2:8).